2017 Lowe 1257 Utility V Get the job done with a Lowe Utility-V. Important features include a natural aluminum exterior with a tan painted interior, all-welded hull seams, a heavy-duty extruded center keel with two formed in bottom keels, formed in spray rails, beefy traverse and longitudinal ribs, an aluminum-clad transom with three heavy-duty formed transom knees, extruded gunnels, extruded bow stem, stern corner castings with handles and bow casting with handle, oar locks and 3 full bench seats. Please note: This boat model may or may not be in-stock. A Nationally Advertised Price, if listed, may change without notice or include accessories not fully described herein. Please contact your local, authorized dealer for exact details on model availability and package pricing. 2017 Lowe 1257 Utility V This boat model may or may not be in-stock. Please contact your local, authorized dealer for more information Standard package includes your choice of Mercury® outboard (up to the boat’s maximum rated hp) * and an optional custom-fit Lowe trailer selection. Important features include: natural aluminum exterior with a tan painted interior, all-welded hull seams, heavy-duty extruded center keel with 2 formed in bottom keels, formed in spray rails, beefy traverse and longitudinal ribs, aluminum clad transom with three heavy-duty formed transom knees, extruded gunnels, extruded bow stem, stern corner castings with handles and bow casting with handle, oar locks and 3 full bench seats. 2016 Lowe 1257 Utility V Get the job done with a Lowe Utility-V. Important features include a natural aluminum exterior with a tan painted interior, all-welded hull seams, a heavy-duty extruded center keel with two formed in bottom keels, formed in spray rails, beefy traverse and longitudinal ribs, an aluminum-clad transom with three heavy-duty formed transom knees, extruded gunnels, extruded bow stem, stern corner castings with handles and bow casting with handle, oar locks and 3 full bench seats. Please note: This boat model may or may not be in-stock. A Nationally Advertised Price, if listed, may change without notice or include accessories not fully described herein. Please contact your local, authorized dealer for exact details on model availability and package pricing. 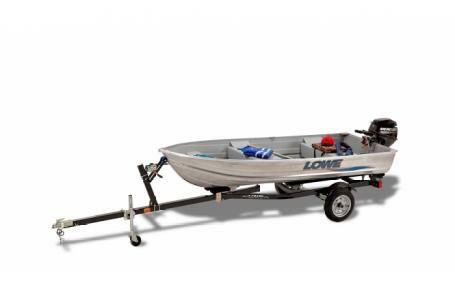 2015 Lowe 1257 Utility V This boat model may or may not be in-stock. Please contact your local, authorized dealer for more information Standard package includes your choice of Mercury® outboard (up to the boat’s maximum rated hp) * and an optional custom-fit Lowe trailer selection. Important features include: natural aluminum exterior with a tan painted interior, all-welded hull seams, heavy-duty extruded center keel with 2 formed in bottom keels, formed in spray rails, beefy traverse and longitudinal ribs, aluminum clad transom with three heavy-duty formed transom knees, extruded gunnels, extruded bow stem, stern corner castings with handles and bow casting with handle, oar locks and 3 full bench seats. 2015 Lowe 1257 Utility V, 2016 Lowe 1257 Utility V - LWC02683J516Lowe Boats at Thayer's Marine, Inc. Price listed is for BOAT ONLY!!!!!! Individual engine pricing is based off what horsepower you are looking for. We have Mercury and Evinrude's, both 4-stroke available, or 2-stroke at 15HP and higher with Evinrude Etecs. Mercury Portable Outboard Pricing (2015) 2.5M - $899 3.5M - $1049 3.5ML - $1069 4M - $1359 4ML - $1379 5M - $1539 5ML - $1559 6M - $1759 6ML - $1769 8M - $1999 8ML - $2019 9.9M - $2239 9.9ML - $2259 15M - $2529 15ML - $2559 15EL - $2759 We are also able to provide a console and professional installation of remote controlled outboards upon your request. If you are interested in financing, please go to our credit application page and fill out an application. Financing is available on some of these items.Three generations of boating know-how make Thayer's Marine, Inc. your leader for everything boating. With over 100 years of boating experience, we have learned what works, what doesn't, and pioneered what will. Our sales department works to find you the boat of your dreams, our parts department helps get you back on the water, and our service department fixes those problems you cannot, the first time. Oh, and CSI scores in the upper 95 percentile to back it all up.